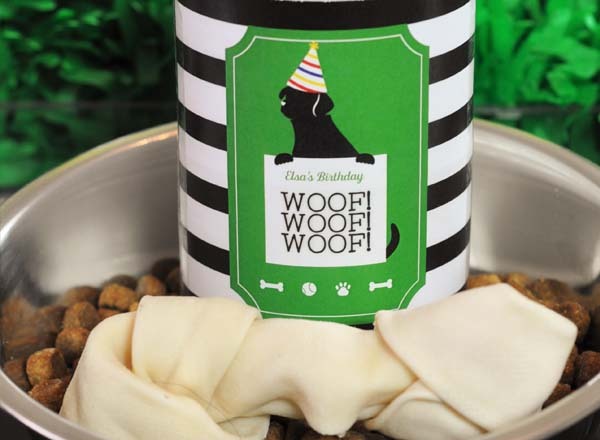 Doggy birthday parties, what fun!! Paw-ty pets unleashed! We’ve talked a few times now. Did I mention I have 3 children? 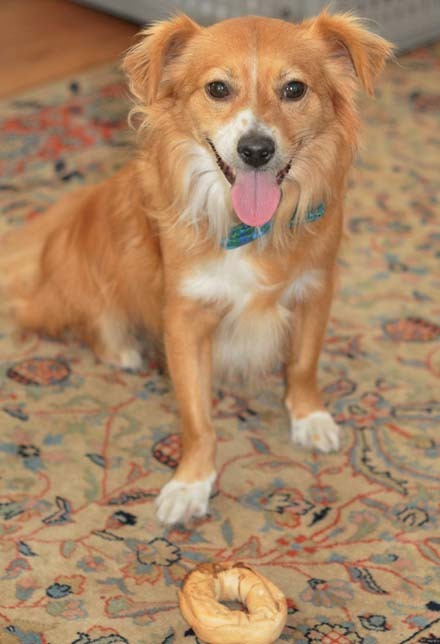 Harrison a boy aged 7, Parker a girl aged 4 and …my fur baby Elsa! 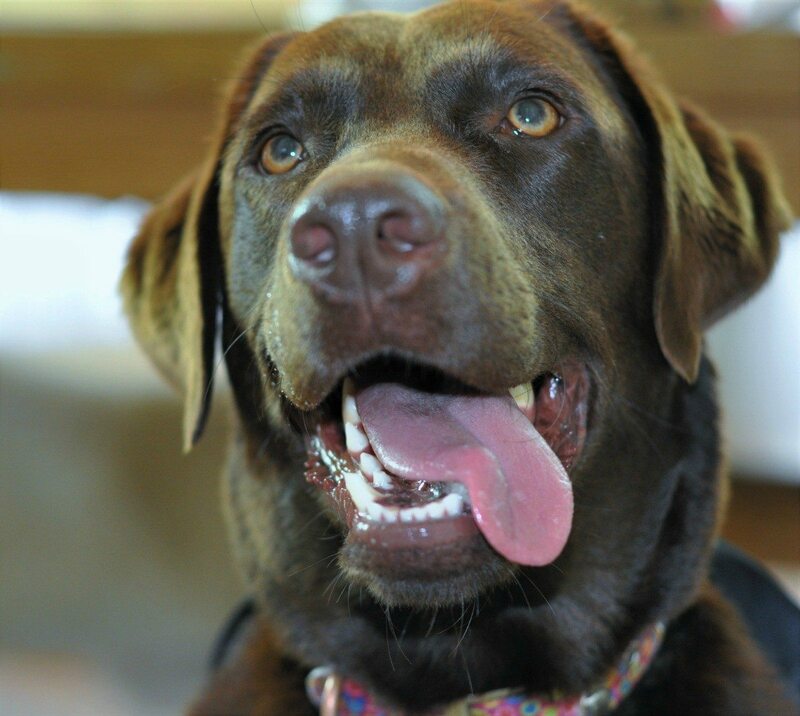 Elsa is a chocolate lab who has just turned 2. I am afraid to say she is just as spoilt and pampered as the human babies, this includes having her very own birthday party and birthday cake. 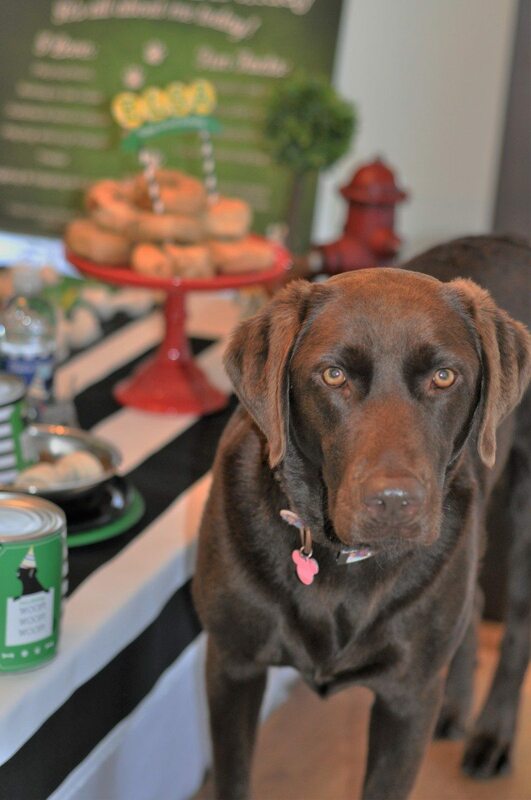 Thats right, we held a doggy birthday party for her, or should I say paw-ty…and I highly recommend it! Her boyfriend Kevin came along (their eyes met across a crowded dog park and the rest was history! 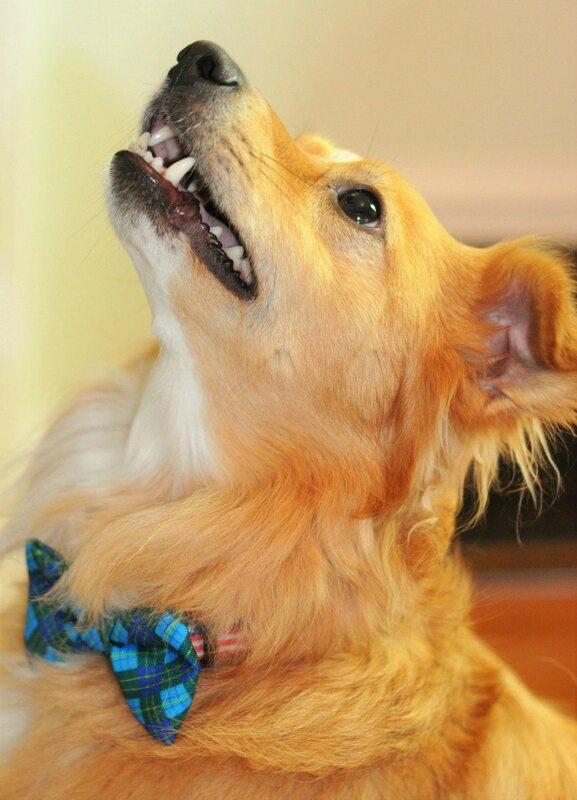 ), as well as friends Tyler and Cocoa. 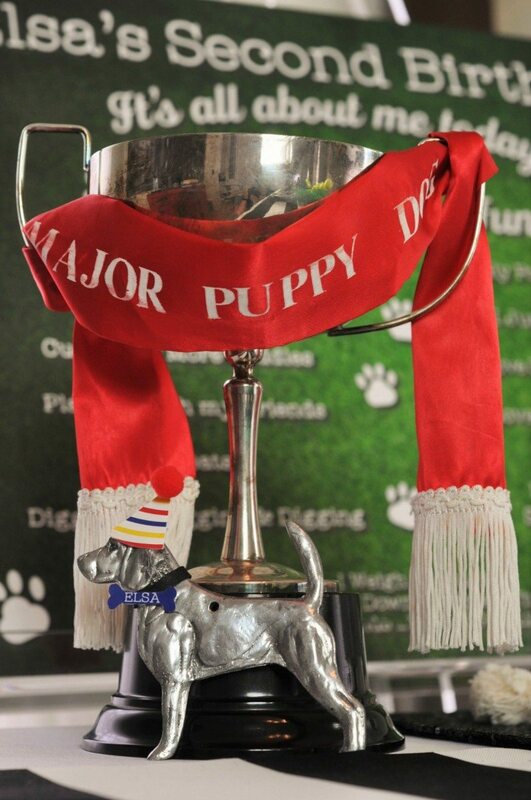 They had a blast and best of all the kids just loved being able to shower the pup with even more love and affection. I’m often seen scrummaging through SCRAP, it’s a local recycling facility run entirely by volunteers. People drop off their junk or old supplies and people like me go and pick up treasure! I was in there weeks & weeks ago and found some cool silver / pewter dog silhouettes. I didn’t need them but I bought them (much to hubby’s dismay) because I loved them and well just in case (I actually have a basket of “just in case’ treasures to dip into – you’d be surprised how often I find just the thing I need in there). 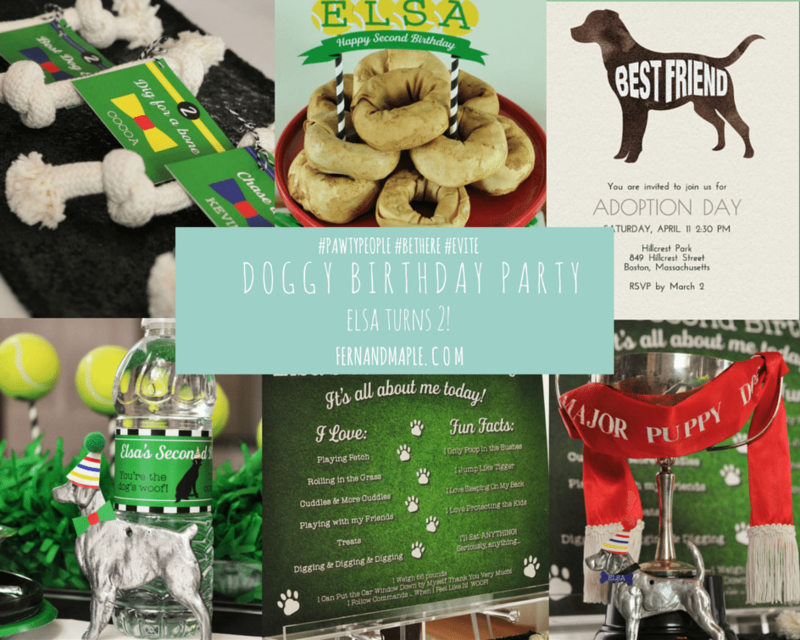 When it came time to start planning Elsa’s party I was scrolling through the animal invitations on evite and spotted an invite with a chocolate lab in silhouette, it was perfect to use with my SCRAP treasure….a theme is born! 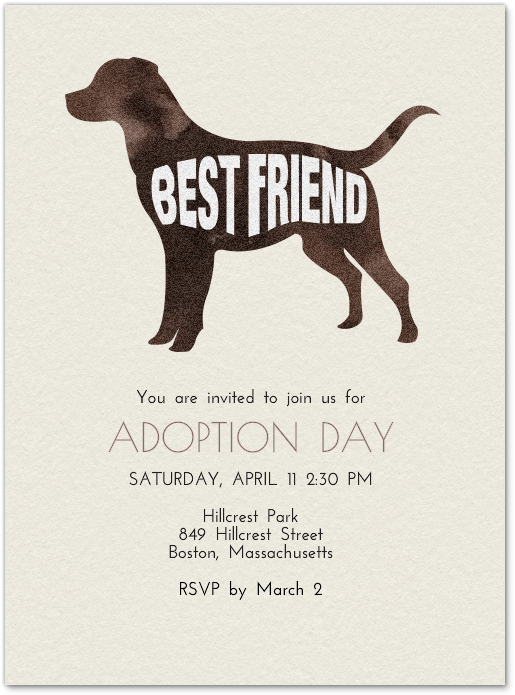 This invite did show up as an adoption party but it was totally customizable, easy to change to a 2nd birthday. Honestly there were a ton of invites to choose from, it was hard to pick. 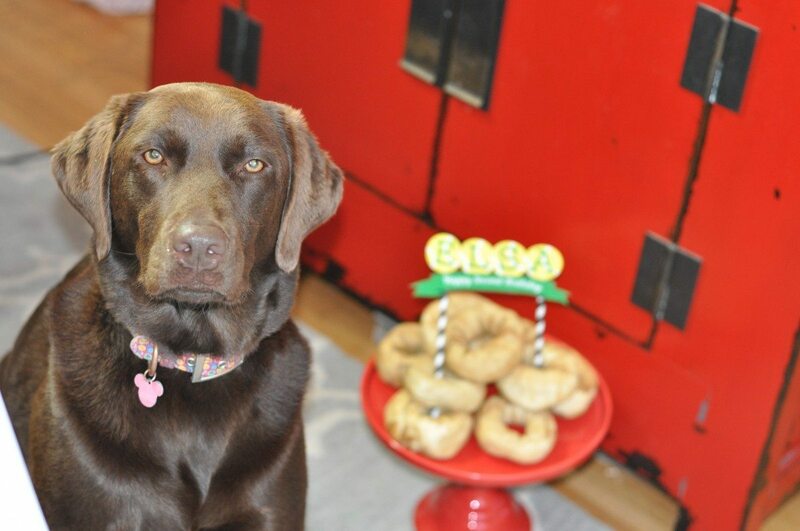 I also loved one with a chocolate labs nose sniffing out birthday cake (sooooo Elsa) and the one inviting dogs to play catch. 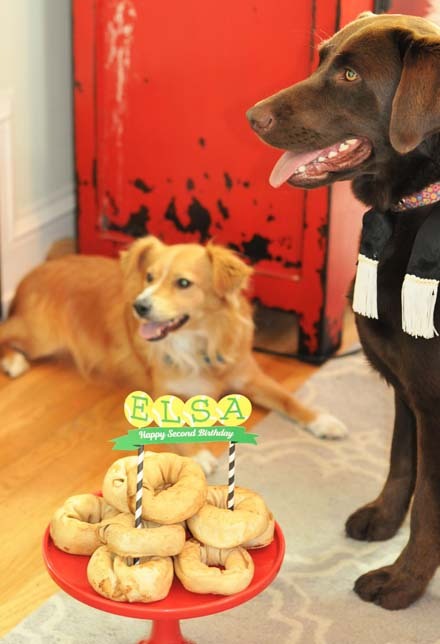 While I didn’t pick them to send out they did inspire the rest of the theme, to make this party all about Elsa’s favorite things, what she loves to do. Mostly this consists of eating and chasing balls but like all children she has her quirks I wanted to make into a keepsake of memories. To do this I turned to my friend Kim, from Small Moments Design. She is from Detroit and we met online when I started buying her t-shirts. We started talking, I do that!! and we’ve now met in person and talk on the phone to throw ideas around. She may be allergic to every pet under the sun but she gets the humor of my attachment to mine! 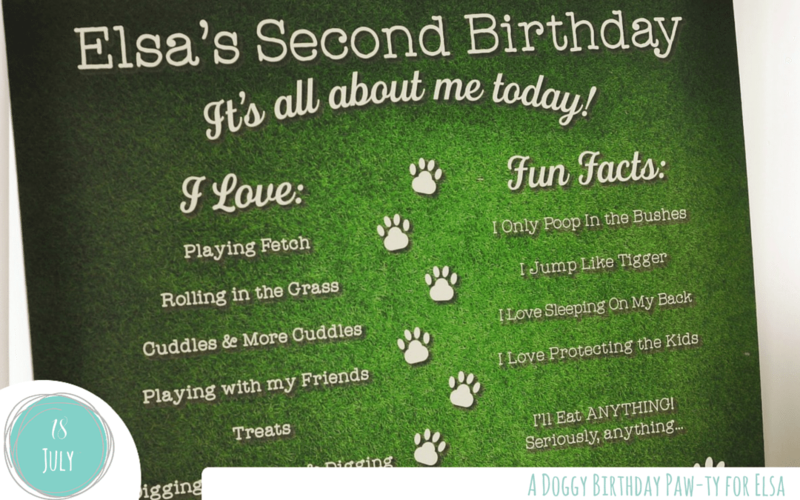 Kim created an “it’s all about me” board for me so I could capture all of Elsa’s quirks and joys for her birthday. She put on there all the things we love about Elsa, the things she loves to do and some of the quirks I was talking about like her ability to put the car window down by herself. 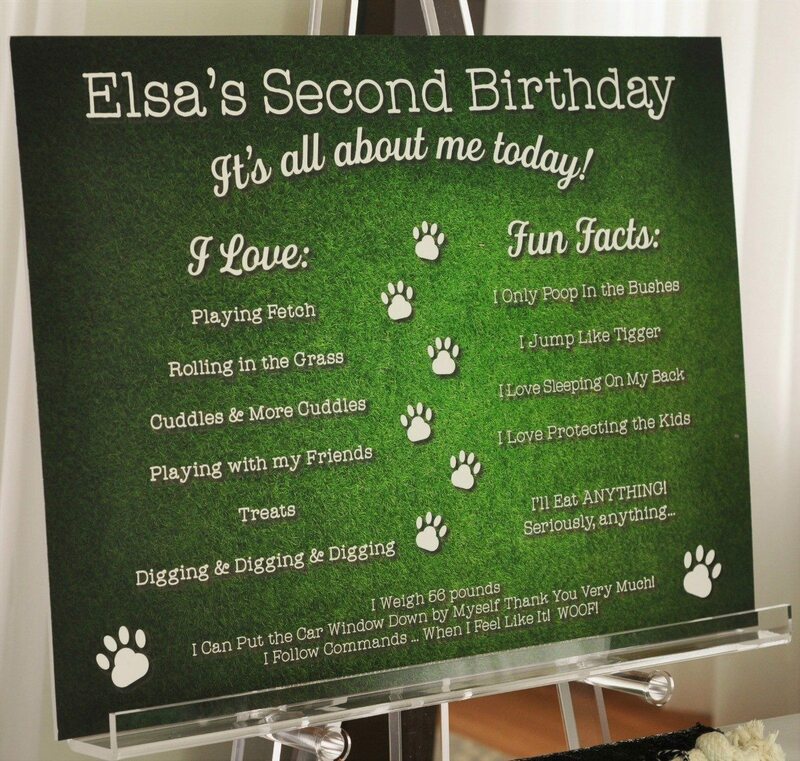 You can see on Elsa’s “It’s all about me board” that 2 of her favorite things are rolling in the grass & playing catch. 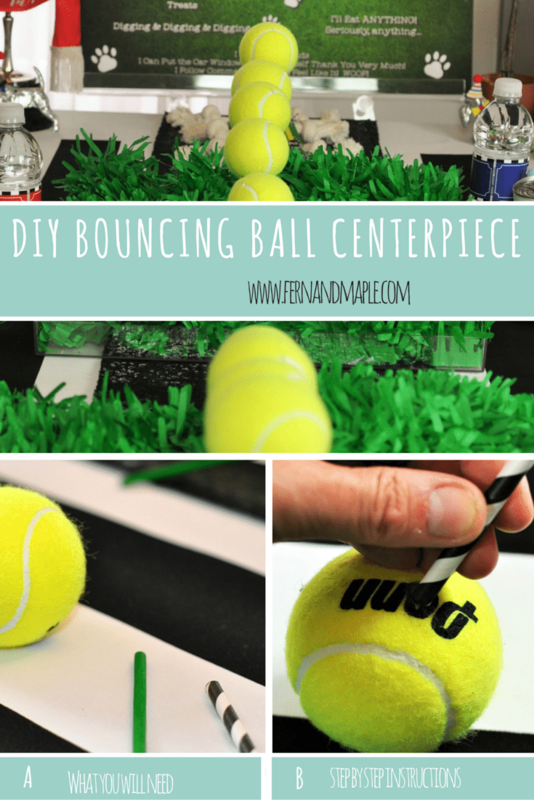 This inspired me to create a centerpiece that looked like a bouncing ball, I know a bit of a tease but I just had to! First cut your foam to size and insert it into the tray(s) or box(es) you have chosen for your centerpiece. I had found 2 large flat perspex trays during one of my trips around SCRAP. These worked well but if you are using something transparent like this don’t forget, when you add the grass, push it down around the edges so you don’t see the white foam. 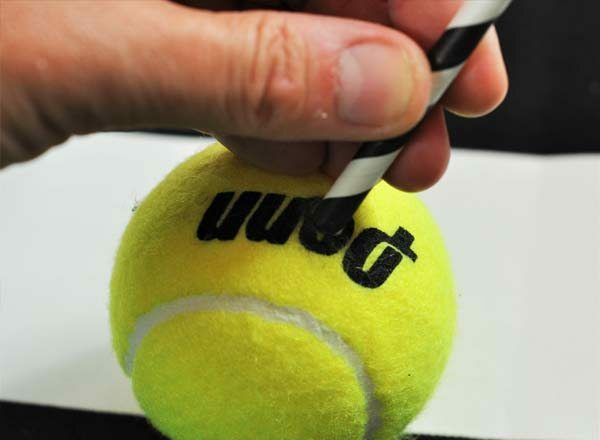 Use a hand drill to drill a hole into the tennis ball. The hole should NOT go right through to the opposite side. You only need the hole at the bottom. 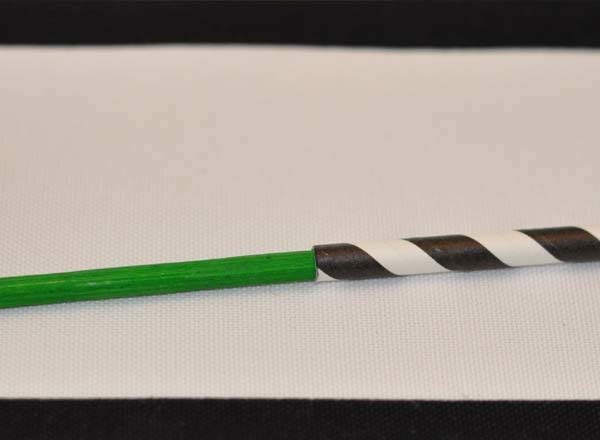 Insert sticks or round dowel wood inside the straws. 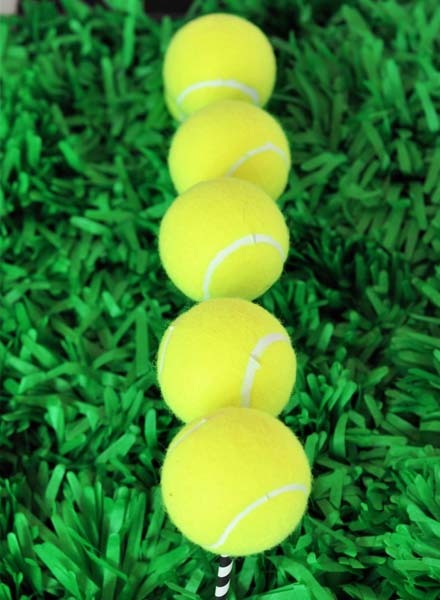 The straws are not strong enough to hold up the tennis balls without the sticks to stop them bending. When the stick is inside you’ll be able to push both into the hole in the tennis ball. While you are doing this measure out different lengths of straws so that you can give the illusion of the ball bouncing. 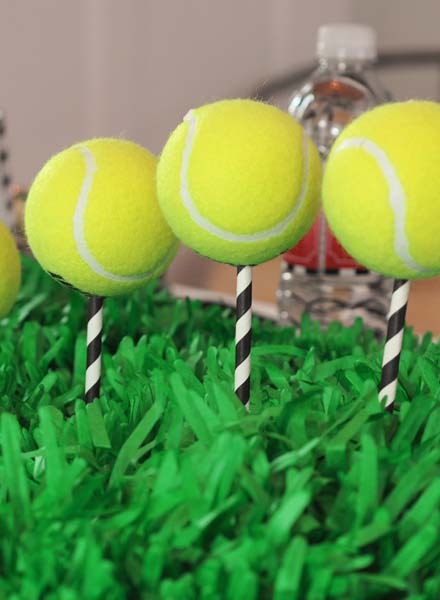 My first tennis ball was on a straw of full length and my last tennis ball had no straw. 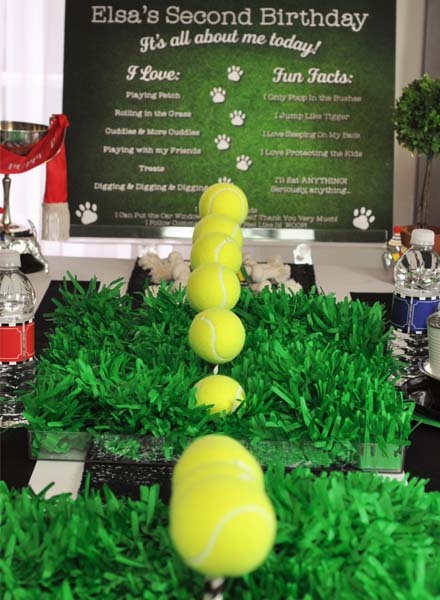 The tennis balls in between i made differing lengths small to large. So if you lay them down on the table they make an arch between the lowest and highest. 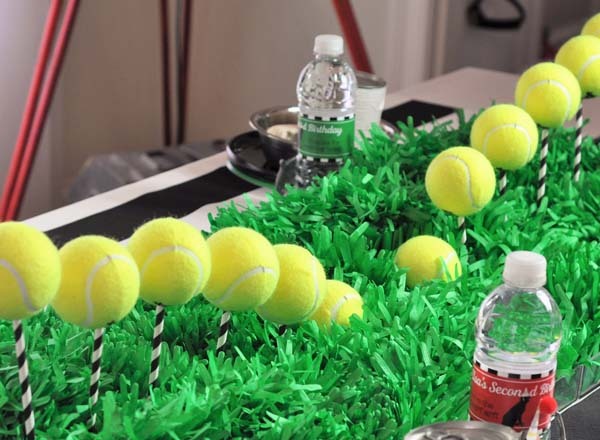 The next step is taking the straw/sticks with the tennis balls on top and insert them into the foam, highest to lowest in one tray (or one end of the tray if you are using one) and lowest to highest in the other. The ball on top of the straw could still be a little overweight which means is will droop to the side. To resolve this and make each one extra secure and for it to stand upright I used power-tac adhesive. I made the hole with the straw, took it out and squirted the glue in and then put the straw back. with that done these babies weren’t going anywhere! 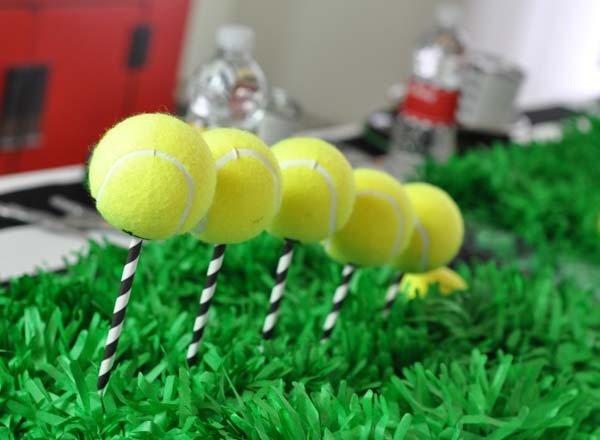 Once all your tennis balls are standing upright and form the right “bounce” add your grass on top. Just push it around the straws. 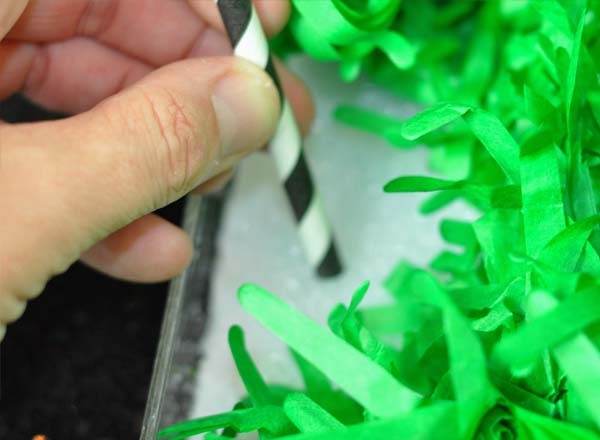 If you’ve used plastic grass you may want to reverse steps 4 and 5 and push the straw through foam and grass in one step. Like I said above if you are using something transparent like this don’t forget to push the grass down the edges so you don’t see the foam. Now the centerpiece is done it’s time to set the rest of the table. I’m a big fan of black & white stripes. 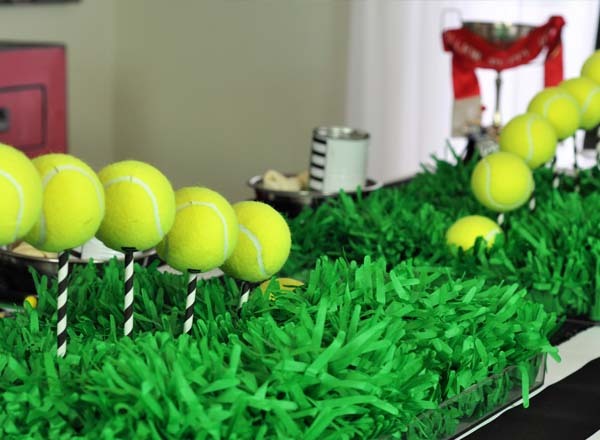 I thought they would go great with the green of the grass and tennis balls. Of course I had to add sequins to jazz it up for my darling Elsa!! so yes that is a black sequin runner…lol. 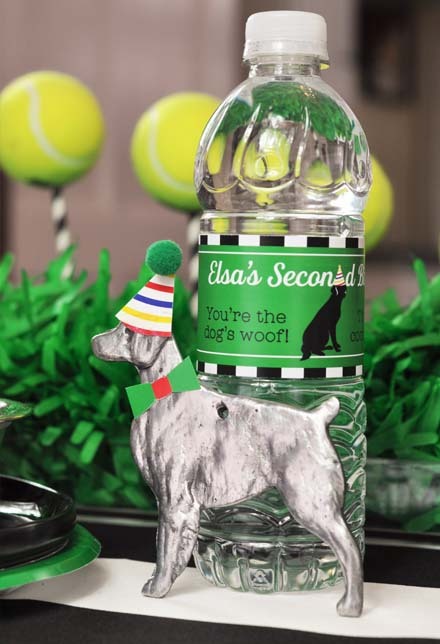 Kim then created a range of printables for me using the evite invitation silhouette, the black and white stripes & bright green for Elsa, other bright primaries for the other pups. 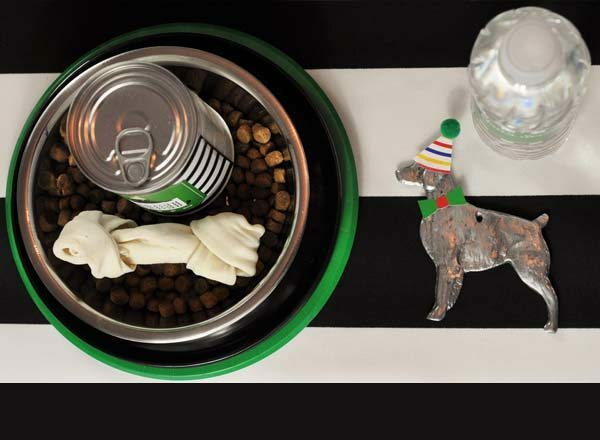 For each place setting I picked up a simple stainless steel bowl, filled it with dog food and a rawhide bone and placed a can of dog food on top (the cans I wrapped in white duct tape and then added the custom labels). I also added their own personal water! 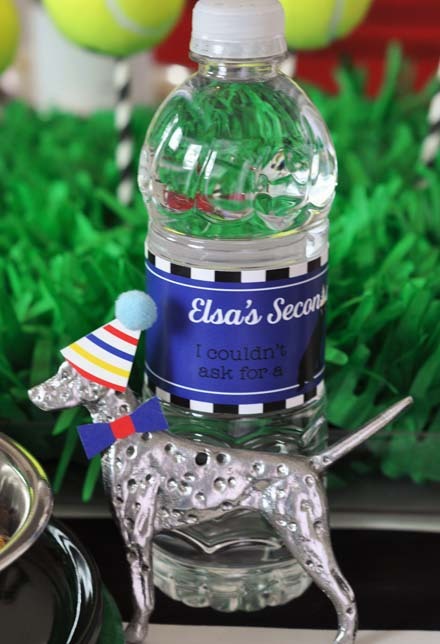 and one of the pewter dogs, I had lots of different breeds so I used the one closest to Elsa’s pal at each place setting. 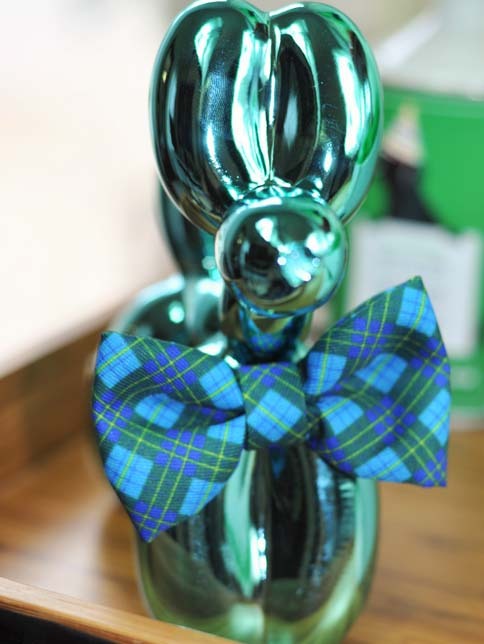 Each dog had their own color (red, yellow & blue) so I added a little matching party hat with pom and a bow tie to the pewter dog…now we have a party! 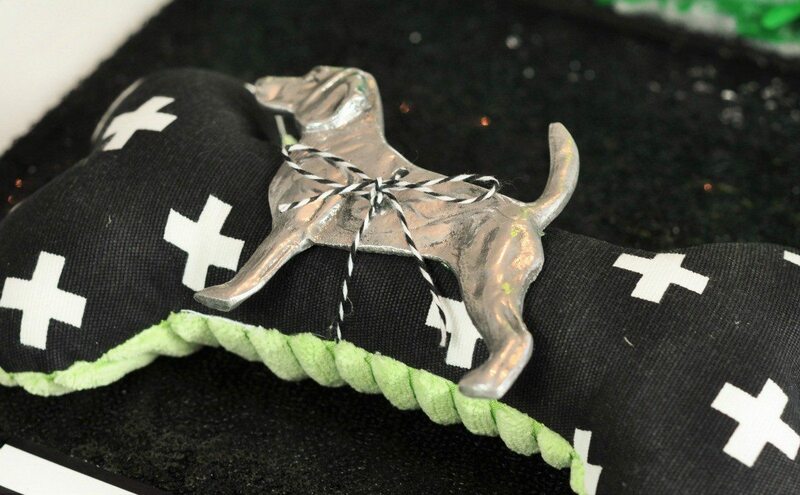 So what do you get a hip dog for a cake & dessert? 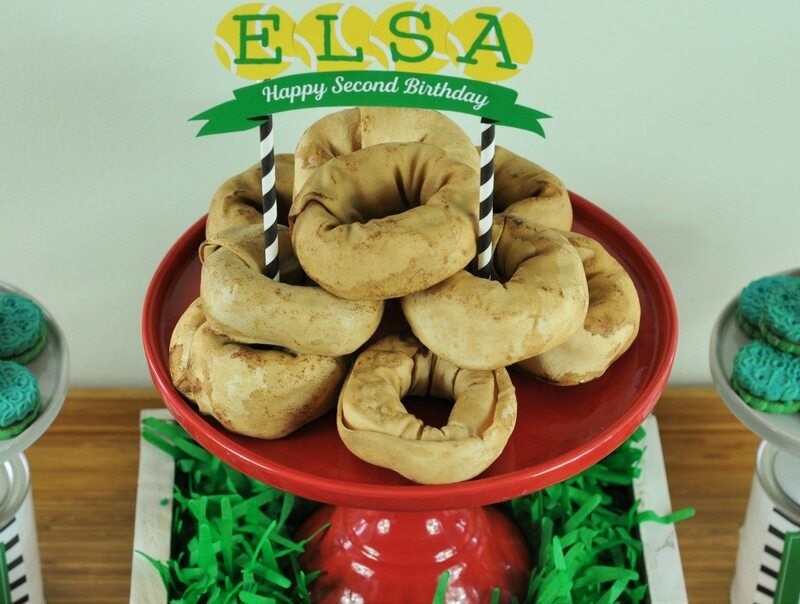 Well an on trend doggy donut cake of course! minus the cream and sprinkles but just as yummy! 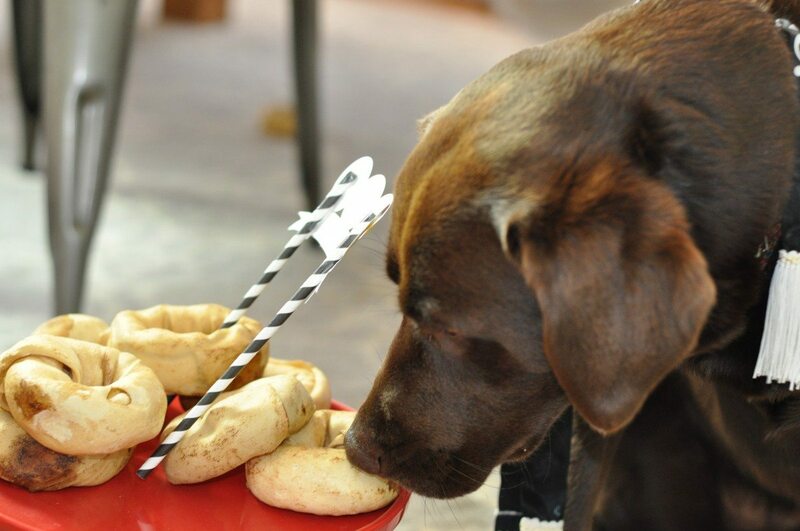 This is super easy to make, stack your rawhide donut treats on top of each other to make a stack and use two straws to insert the banner between donut holes, this way it will stand up. On Trend! Pile those donuts high! 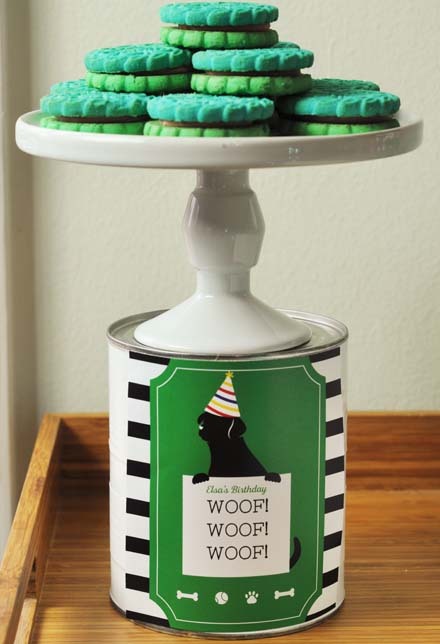 For selection I also did 2 doggy treat plates using doggy cookies that are very much like oreos! Fun colors and easy to stack. 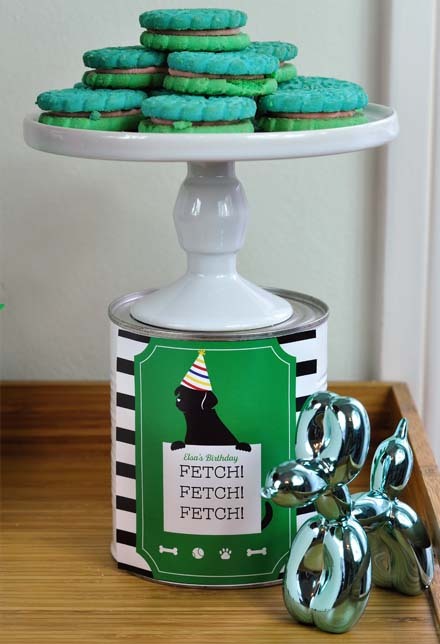 I used some ceramic balloon dogs as accents on the table and found some vintage dog award banners to use as a table skirt of sorts, short but fun! 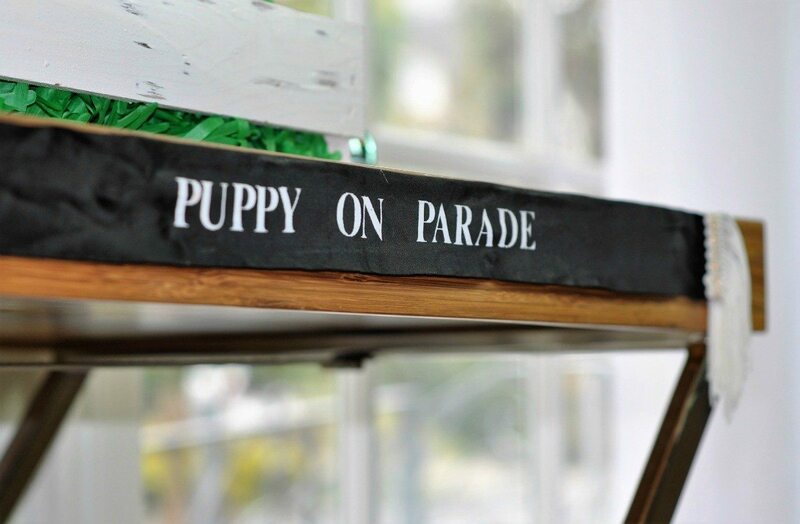 How do you decorate for a dog? Well you appeal to her ego of course! I used a large silver trophy and added a vintage prize sash because you know what Elsa is number 1! 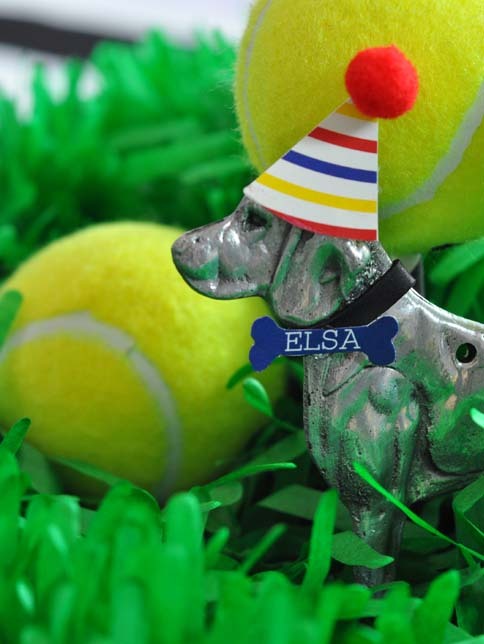 I then added one of the pewter dogs with a hat and Elsa bone collar for a bit of fun. I also added one of these to the grass, hiding in there…this one was more for the human kids involvement. 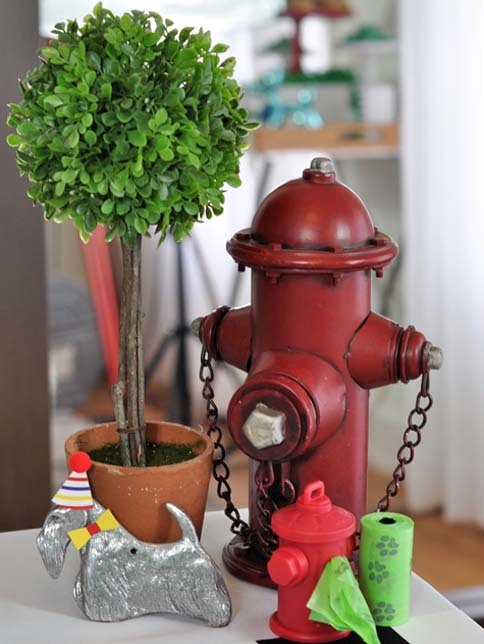 The last accent was ….you guessed it a fire hydrant that marked the spot for doggy doo doo bags. Every host has to be practical, so dog bags were available for all pets and their humans to use for outdoor bathroom breaks! 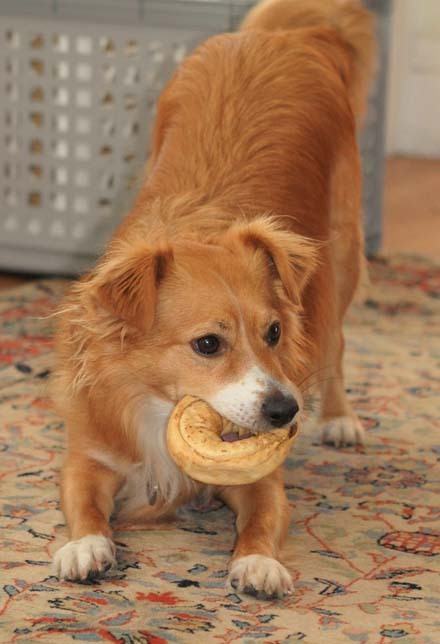 After the balls are all thrown and the cake all gone what does a doggy get to take home. A play rope for some fun at home with their human..no more treats! Here are some more party photos of my birthday girl who is now 2 (or 14 human years as the kids keep telling me) being a paw-ty animal. 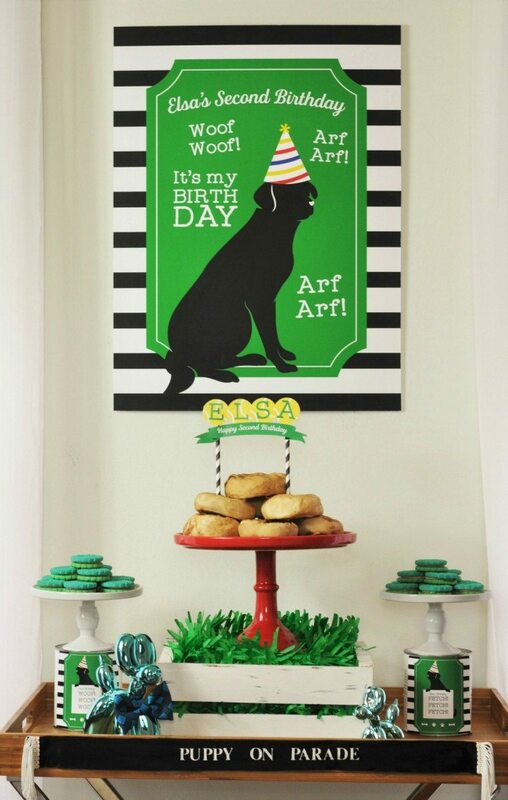 I can’t wait to throw my next party, it was a lot of fun for humans and pets alike. 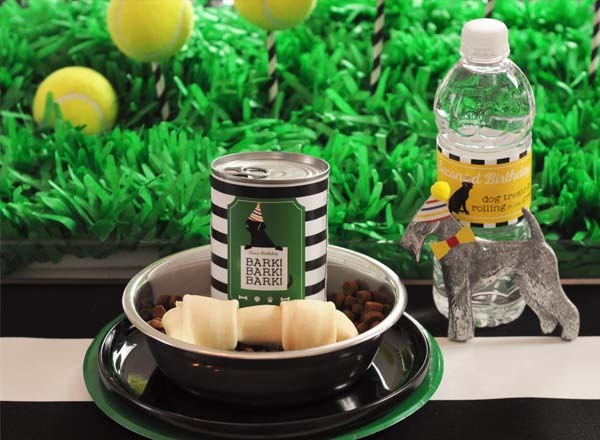 If you need help planning your pets summer adventure try this cute pet party quiz. This is way cute! I just can’t get enough! 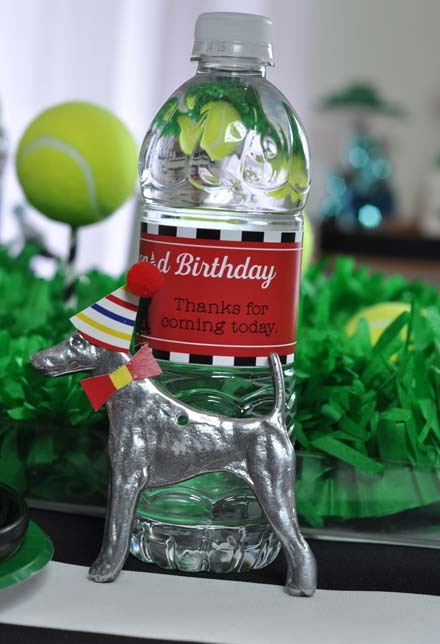 The printables are darling, the color scheme striking and classic and the pewter dogs are perfect! As always you did a great job styling this party! thank you so much, that is so lovely of you!! Such great ideas and decor tips, thanks for sharing! thanks so much, was such a fun party to do!